This entry was posted on December 11, 2013 by Randall Hertzler. The best first doll for a child two years or less should have a soft body and the clothing should be simple but attractive. We suggest the Puppa series dolls as they are specifically designed for this purpose. Available in 14 inches or a smaller 9.5 inches. Käthe Kruse has great options for a baby's first Christmas gift. You can choose from towel dolls, rattles, or activity toys. 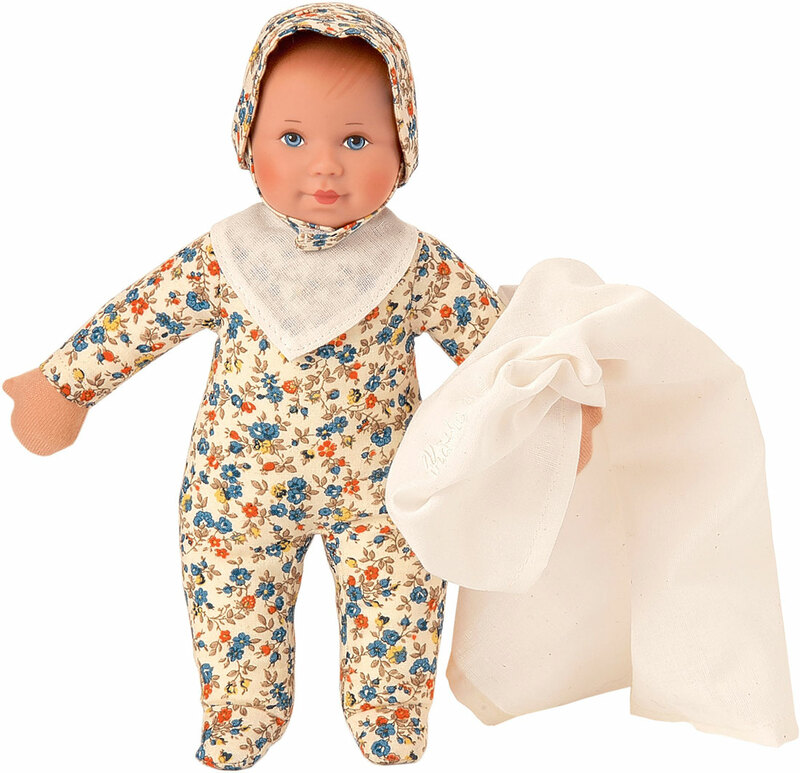 Towel dolls are certainly the most popular baby gift and provide a soothing and comforting experience for baby. After three months, a rattle is appropriate and helps to awaken senses as baby begins to experience cause and effect. And, after three to six months an activity toy makes a great gift. When you want to engage in interactive play with your baby or young child, try hand and finger puppets. You'll have a chance to be creative as you invent stories and explore the wonder of pretend.